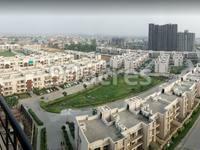 RPS Palms is one of the residential development of RPS Group located in Sector 88, Faridabad. The project offers spacious and welldesigned 3 BHK and 4 BHK independent floors with all the basic amenities for the comfort of residents. 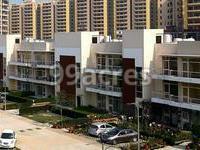 In which area is RPS Palms located?The project is situated in Sector 88, Faridabad. How much is the actual area of RPS Palms?The area of the project is 20.0 Acres. How many units are available in RPS Palms?The project has a total of 456 units. Does RPS Palms have cricket pitch? The project offers a cricket pitch. Does RPS Palms have gym? Yes the project has a gym. Is RPS Palms vastu complaint? The project is vastu complaint. I want to buy 3 BHK in RPS Palm what will be cost all inclusive. Dear Bharat, RPS Palms is a ready project and offers 3BHK and 4BHK independent floors. Currently, you can get a 3BHK for around Rs 53 lakh-Rs 69 lakh. A new 4BHK will be in between Rs 82.65 lakh to Rs 1.05 crore and resale 4BHK is about Rs 61.80 lakh-Rs 89 lakh. Overall, it is a good project to reside and equipped with some good amenities. Hi Sushil, RPS Palms is a ready project, completed in March 2014. 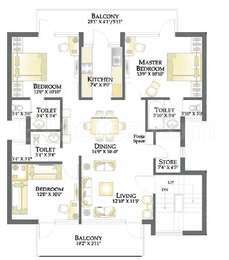 At present, there are several new as well as resale independent floors are available. However, you can get a new 3BHK at a starting price of Rs 92.5 lakh and it goes up to Rs 95 lakhs whereas a new 4BHK will cost you in a price range of Rs 1.20 crore - Rs 1.40 crore. 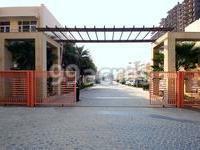 You can also go for resale 3BHK and 4BHK independent floors. The resale 3BHK will cost you for around Rs 43.2 lakh - Rs 70 lakh whereas the price for a resale 4BHK will be in between Rs 62.5 lakh - Rs 92 lakh.  As you mentioned in your question regarding availability of options on the ground floor and front row, for this I would request you do pay a personal visit to the site.